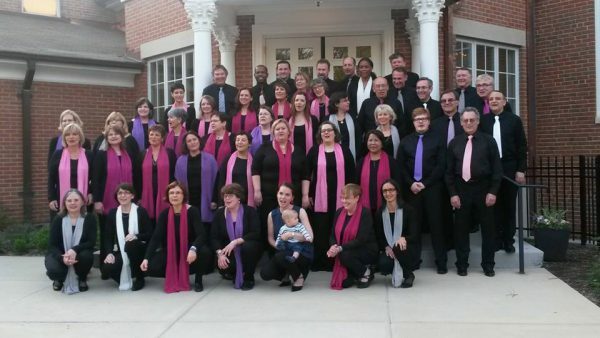 Begun in fébruary 2000, the choir EGC from Rueil Malmaison in France, a registered organization under the french 1901 law, is led by Director Sarah Jeanmaire and Pianist Scott Sontag. Our goal is to share the gospel, which means Evangel: the “good new” of Jesus Christ, the love of God offered to all. Fondation of Emmanuel Gospel Choir as an outreach of Emmanuel International Church by american opera singer, Cecelia Stearman and Scott Sontag, an American pianist. Recording of the first audio live disc “Standin' in the Need of Prayer “ at the American Church of Paris, under the direction of Cecelia Stearman. Brian Kirby, of North Carolina, pastor, former choir director and music teacher, took over the leadership of the choir and the association replacing Cecelia Stearman returned to the United States. Recording of the 2nd CD of the choir: “My Life is in Your Hands” under the direction of Brian Kirby. Co-organization in partnership with the Cultural Department of the Rueil Malmaison's City Hall of the first gospel music festival in the Hauts de Seine county : “ Gospel ‘n Rueil ”. Recording of the 3rd CD of 16 tracks “Get Up and Dance”. First tour abroad for EGC in the region of Umbria in Italy. 4 concerts and 1 gospel service were given. Recording of the 4th CD live “There's A Reason”, a mix of carol and traditional and contemporary songs. EGC is celebrating its 10 years of existence ! ! ! Sarah Jeanmaire took charge of the choir to replace Brian Kirby returned to the United States with his family. Scott Sontag takes over the presidency of the association. It's the output of the fifth CD ” Walking with My Lord .” This disc is full of songs composed or arranged specifically for the choir. Second abroad tour for the choir. This is England and the West Midlands with concerts given in Birmingham and the surrounding area. For its fourth overseas tour , EGC will go to Utrecht in Netherlands then Bonn in Germany and Bad Soden in Germany too.